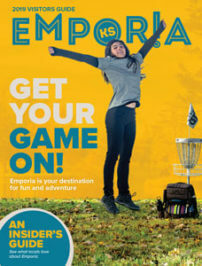 Located on the west side of Emporia convenient to Interstate 35, the Hampton Inn by Hilton is within minutes of several attractions including Jones Aquatic Center, Flinthills Mall, Trysa Soccer Complex as well as Emporia State University. Several restaurants are just a short drive and a few are within walking distance. The Emporia location received the companies Wall of Fame Award recognizing the top 15% of hotels in the brand and received a 2018 Certificate of Excellence from Trip Advisor.